Get on the road to a better career with DSW. Get a load of this—DSW is growing the fleet! We have openings for over-the-road drivers—no matter what stage you are in your career—we have the opportunity for you! We help drivers get miles, get paid and get home. If you are a recent CDL graduate or have less than 3 months of Class A tractor-trailer experience in the last year—no problem! At DSW, you can earn while you learn! We are committed to training CDL school graduates and help prepare you for a successful career in the trucking industry. Our driver mentors help new drivers gain the knowledge necessary to hone driving skills and expand professional growth. We offer a very generous tuition reimbursement program for those who qualify! If you have been driving for six months to two years, we have a generous starting pay for those in the early stages of their driving career. We recently implemented a new driver pay scale increase and are excited to be able to pay our drivers more. Best of all, DSW has bragging rights to the BEST PAY SCALE for those who are just starting their career in the stable trucking industry. We have many drivers who have been with us for many miles and many years. We appreciate the miles that experienced drivers have on the road and pay generously. Every year you drive with us, we thank you with an annual pay increase. We want our drivers with us for the long haul. Whether you prefer to drive solo or go as a team—we have the job for you! DSW has great opportunities for team drivers to get lots of miles so you can earn more money! If you don’t have someone to drive with–we can help! We can match you with another driver you will be compatible with based on your personality and professional preferences. 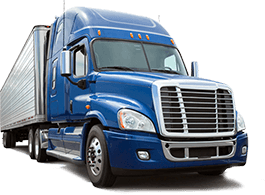 Team drivers are needed for long runs and will earn top dollar. Don’t miss your opportunity to get more miles and earn more money with team driving. WANT TO WORK WITH US BUT DON’T HAVE YOUR CDL?